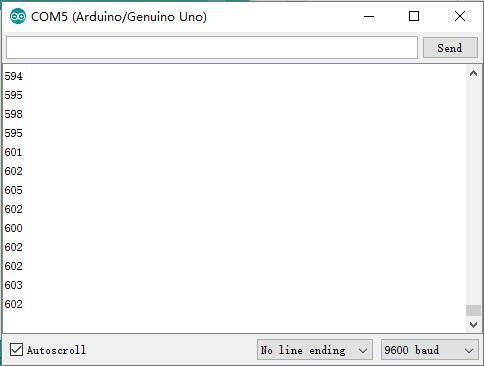 In this example, we are going to connect the Sound Detection sensor module to the Arduino digital pin to control the on-board LED, so that the LED will light up every time the sensor detects sound. Note: The sensitivity of the Sound Detection sensor is adjustable – you may adjust it by the potentiometer. A few seconds after the upload finishes, you can clap or knock something next to the sensor, when the volume reaches to a certain value, the LED attached to pin 13 on the Osoyoo Uno board will light up. Note: If the LED is not lighting up or the LED is always bright, you need to change the sensor sensitivity by rotating the potentiometer. In this example, we will show how to use the analog pin to detect the sound. The microphone sensor will detect the sound intensity of your surroundings and will light up an LED if the sound intensity is above a certain threshold. This is the code to make a LED blink with sound. You have to set the threshold so it’ sensible enough to make the led blink, you can also see the value of sound intensity on Serial Monitor. 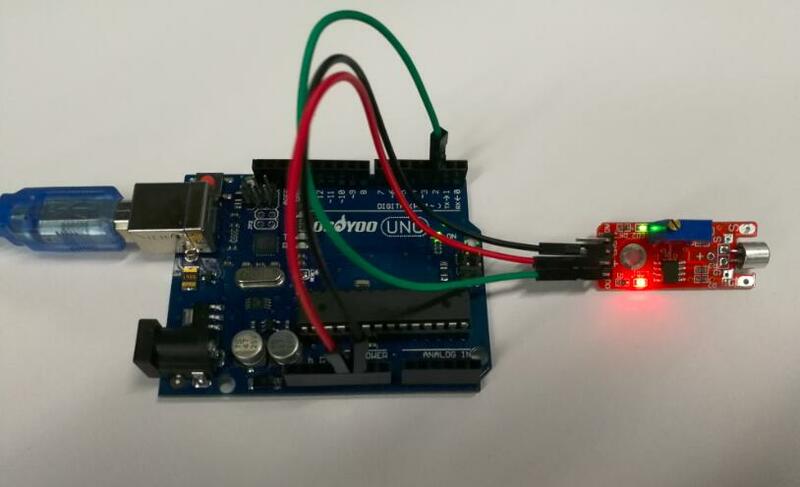 After copying and uploading this code, when the volume reaches to a certain value, the LED attached to pin 13 on the Uno board will light up. If the sound does not sense very well, try changing the threshold value or changing the sensor sensitivity by rotating the potentiometer. What prints out is the analog and digital values of from the sound sensor module. The analog value should spike up when a noise occurs and stabilize when it gets quiet again. Now in the code there is an “int threshold = 600;” line that needs to be changed to something very close but higher than the value you get from the Serial Monitor when it is quiet around you. For instance if you see an analog value of 500, then threshold should be changed to perhaps 503 or 505. When a sound occurs, the analog value will rise and go above the threshold value. When that happens your LEDs will turn on. When it gets quiet again the analog value will go back to 503 and the LEDs go dark again. I couldn’t see the full code program.